18 official White LEGO mounting bricks. 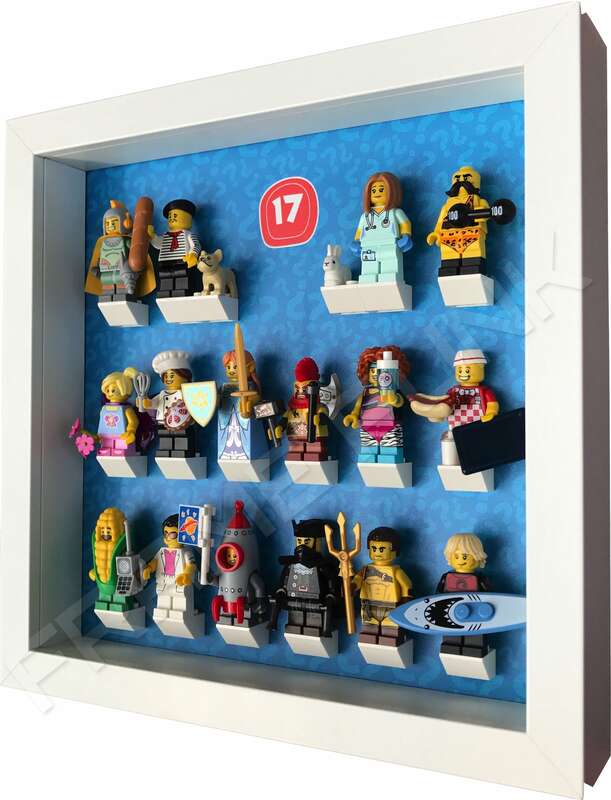 2 additional official White LEGO mounting bricks that have been paired up with other bricks to accommodate: the Veterinarian minifigure, the Connoisseur minifigure and their pets. Removable front panel to keep your minifigures dust free. 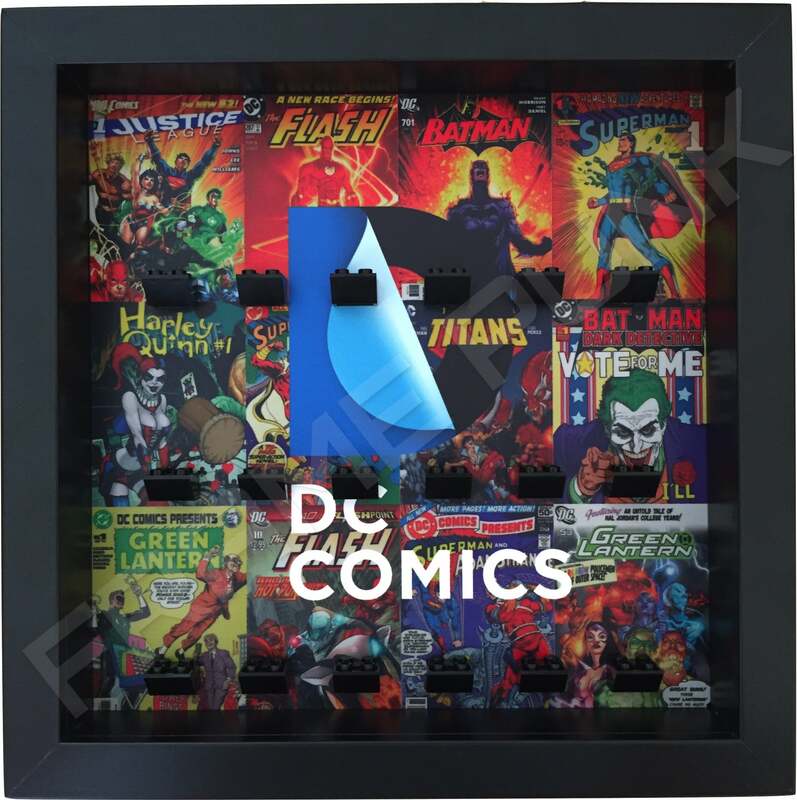 Premium rigid display board providing a strong surface to mount your minifigs on. 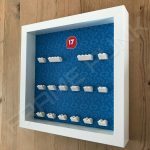 Frame can be free standing on a shelf or table / Wall mounted. 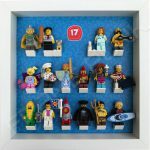 A must have for LEGO minifigures series fans! Display your collection with pride in this colourful minifigures display frame… Remember, they were meant to be enjoyed, not tucked away in a box! 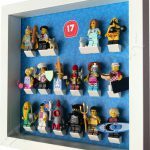 This Frame Punk LEGO Series 17 minifigures display frame is designed to hold the complete set and identify with the colour scheme of the blind bags that the minifigures come in. As with all of our series frames, we try and accommodate each minifigure and its accessories. 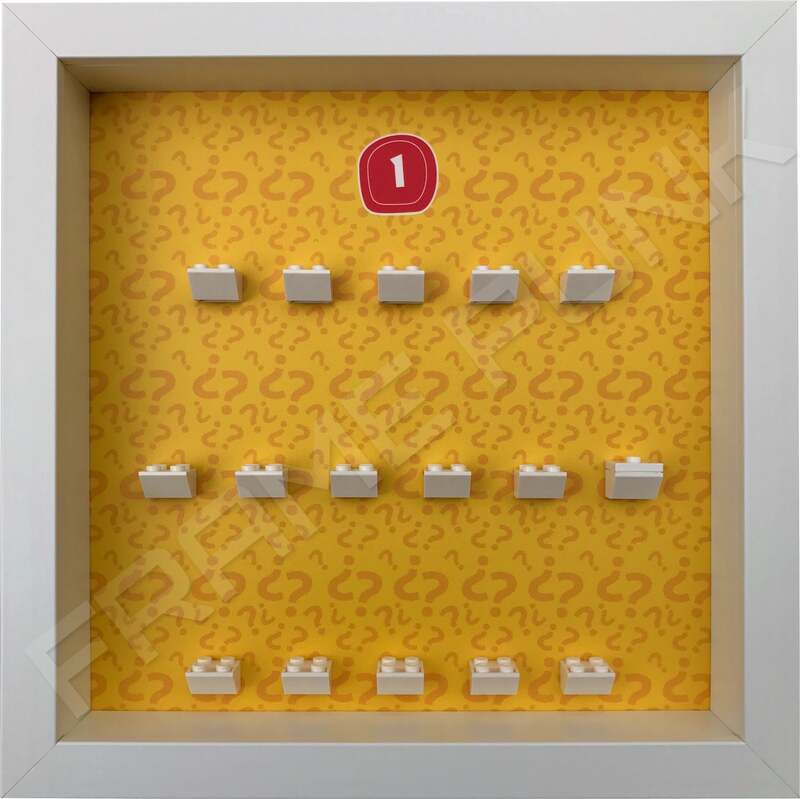 For this one we have included an additional 2 mounting bricks to pair them with others for the Veterinarian minifigure, the Connoisseur minifigure and their respective pets.